Facebook is in the news again for changing its algorithm for content by penalizing pages with content that is “too promotional”. This includes anything from encouraging people to install apps, enter competitions or to purchase a product or service. What does that mean for Realtors? Can you still post New Listings? Open Houses? Price reductions? The answer is Yes – with caution – you’ll have to be more creative, more subtle and provide more relevant content. And, if you are still using your personal Facebook page for real estate – it’s time to get a business page. Even a subtle sales pitch on your personal page may trigger a Facebook penalty. Business pages work differently and have different options and features than personal pages. Keep your business on your business page. Tips for Realtors® – Get the most from Facebook and keep clients coming back for more. 1. Listings / Open Houses – Make your new listings newsworthy by choosing great photos and keep the wording descriptive rather than duplicating MLS® wording. Use free graphic sites like canva.com to enhance your posts. 2. How often to post? 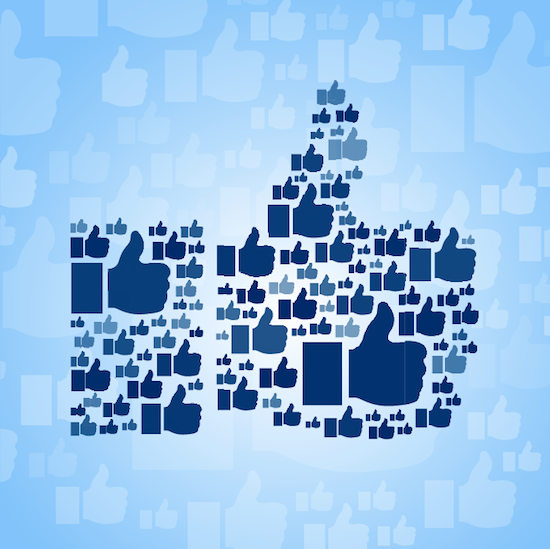 Two to four posts maximum per day on Facebook is ideal provided you are sharing good content. Be consistent – a minimum of three to four posts per week. Don’t be the Realtor whose last post was November 2012! Use creative “selling” posts (new listings, open house) only two to three times per week. 3. Put effort into finding great content. Users are on Facebook to connect and engage with things of interest. Actively seek out and share valuable content, yours and real estate/community related, that inspires, informs, educates and connects. You can become a trusted expert by ensuring your posts are relevant. Build your own content library by liking other business pages such as local media, real estate organizations, event listing sites, municipalities and more. When sharing a post – add commentary – don’t just post a link. Ideas to share: community news & events, home decor, “green” homes, home maintenance, real estate market stats. Always include a great image. Don’t clutter your page with “empty” posts such as “Happy Groundhog Day!” or “Today is Secretary Day!” – better to post less often if you have nothing good to post. If you are too busy – hire a social media service to do your posting but make sure you are set up to receive notifications when people leave a comment or ask a question so you can reply. 4. Include Facebook in your advertising budget. Pay to boost new listings and make that part of your listing service. You can also pay to promote your Facebook page or website. 5. Get people to visit your website by posting your own content – well written blog posts with an image and click throughs on listing posts. Pay attention to page insights. 6. Invite clients to connect with you on Facebook. You can search for their name on Facebook and message them from your personal account and provide the url link to your business page. Make sure your Facebook address is on your business card, advertising and emails. 7. Add an Email sign-up tab to your Facebook page and make users aware of it periodically through posts and tips. Use Facebook as an inbound marketing tool – clients are coming to you. Give them an incentive to sign up for your email list. Author: Kathy Rasmussens, Owner SocialWebMedia.ca specializing in WordPress Websites, Realtor Websites, Social Media and SEO.